Mohammad Reza Pourshajari, 52, blogger (a.k.a. Siamak Mehr), was arrested on September 14, 2010 and taken to an IRGC-controlled ward in Rajai Shahr Prison, Karaj. 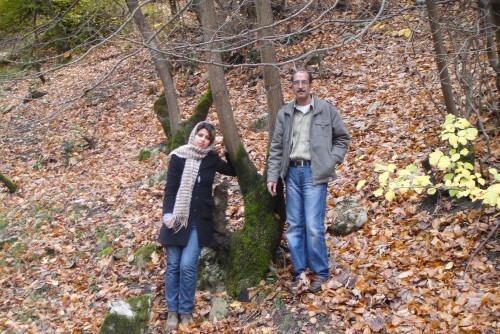 His daughter, Mitra Pourshajari told Justice For Iran (JFI) that her father had to endure seven months in solitary confinement before he was taken to court, blindfolded and without the presence of an attorney. 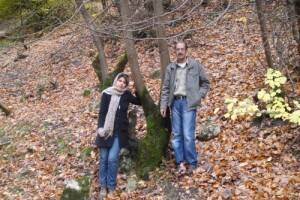 She explains, “Other than my father and the presiding Judge, no other person was present in the courtroom during the trial.” Mr. Pourshajari was sentenced to a total of three years in prison for “Insulting the ‘Supreme Leader’ (Ali Khamenei)” and “Acting against national security”, however he was not informed of the verdict until six months after it was issued. On December 21, 2011, Judge Gholam Sarabi of branch 109 of the Karaj Revolutionary Court sentenced Mr. Pourshajari to an additional year in prison for “Insulting the Prophet and Imams”. Other than the Judge, Mr. Pourshajari, and a soldier, no one else was present in the courtroom. Mr. Pourshajari has not had an attorney present at any stage of the judicial processes. Judge Gholam Sarabi has reportedly banned Mr. Pourshajari from his right to legal representation. Following nearly one year in Rajai Shahr, Mr. Pourshajari had contracted multiple illnesses and required medical furlough, but instead prison authorities transferred him to his present location, Ghezel Hesar Prison, Karaj. Last year reports surfaced that he is being held with prisoners carrying disease or charged with murder, and the area is infested with cockroaches and lice. According to close sources, Mr. Pourshajari fears that he may one day be killed by the other prisoners. He is reportedly the only political prisoner in Ghezel Hesar. Despite Mr. Pourshajari’s deteriorating physical health and urgent need for proper medical care, sources say Judge Gholam Sarabi has refused to consider him “unsuitable to tolerate imprisonment”. In a letter from prison, Mr. Pourshajari wrote that if he dies in prison, Ali Khamenei would be directly responsible for his death because it was for “insulting him” that he is imprisoned in the first place. Mitra Pourshajari says her father sought medical furlough after he had been imprisoned for half his sentence’s term, but Judge Gholam Sarabi denied the request stating that Mr. Pourshajari’s judicial case file was still open. IRI laws do not allow prisoners with an open case file to request furlough. In autumn 2012, Mr. Pourshajari suffered a heart attack in prison. Mitra Pourshajari says prison physicians declared her father’s arteries clogged and he required an open heart or a coronary artery bypass surgery. She says prison authorities are ignoring the urgency in her father’s situation and have only offered him a five-day furlough in which he would be responsible to post bail and pay for his medical expenses. Mr. Pourshajari reportedly declined the offer saying authorities had to first guarantee that they would not return him to prison following the surgery. Mitra Pourshajari says her father is aware that a five-day medical furlough would not suffice for such a high-risk surgical procedure, as he would require proper rest and medical care. Currently prison authorities have barred Mr. Pourshajari from receiving regular examinations on his heart and medicine prescribed to him. At the request of Mr. Pourshajari, Mitra recently fled Iran. She has resumed her studies abroad and JFI is currently assisting her to pursue her father’s case with the United Nations. Justice for Iran is worried about Mohammad Reza Pourshajari’s health and calls on the international community to help ensure he is immediately and unconditionally released from prison. 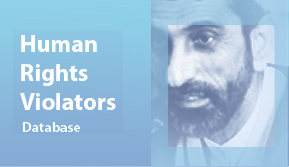 JFI warns human rights organizations that an open case file for Mr. Pourshajari could mean that IRI authorities plan to add on new charges and issue him a heavier prison sentence. 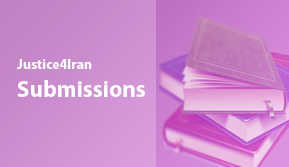 Based on the IRI’s international commitments– in this case, breaching due process principles as well as freedom of speech– JFI calls on international bodies to hold Judge Gholam Sarabiaccountable for Mr. Pourshajari’s health and wellbeing.